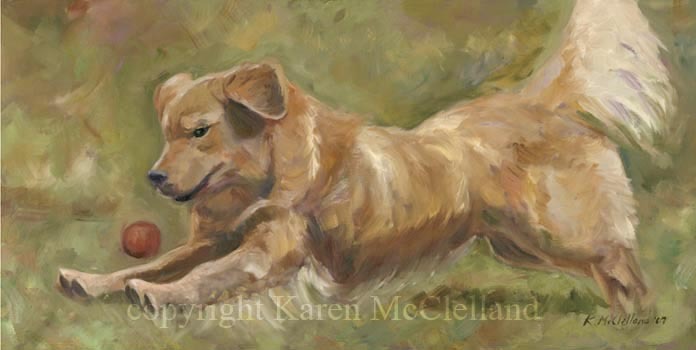 Golden Retriever limited edition giclee art print, dog painting done by artist Karen McClelland titled "Gotcha!" Golden Retriever print titled "Sliding Home"
This is one of a pair of Goldens playing with a ball that I painted at the same time. The movement of the coat was wonderful to paint. They are great together or wonderful separate. You can see the other at Gotcha!